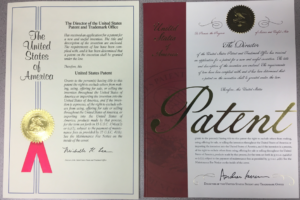 Advanced Gauging Technologies is happy to announce we have now received our second patent for one of our products. We strive to be on the forefront of innovation and are always looking for ways to improve what we do. Being a leader in non-contact thickness measurement is a responsibility we don’t take lightly and that’s why we’re so proud of our new Patent No. : 10,240,911 B2. This patent number represents our, “Laser Gauge with Full Air Gap Measurement Range”. What that means is, “the entire throat height or air gap of a laser gauge’s C-frame enclosure constitutes its accurate measurement range so that any material passing at any height through the air gap will be accurately measured”. This adds a great deal of flexibility to the use of our gauges. The innovation never stops at A.G.T. and we’re excited to see what the future holds.